You can now buy or download The American Broker and A Poster For Her Wall, a novel and short story respectively, as well as two children's stories, You Know What Is Coming and Seeing Stars. Now available at Lulu. At Authonomy you can also read what people say about my work and contribute your own comments too. I love writing and would love to do it and get paid properly for the work and maybe one day a literary agent will take me on. 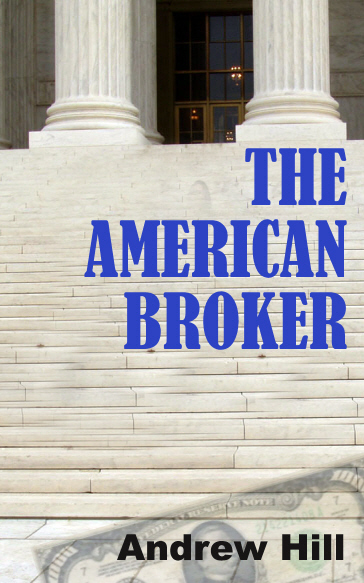 The American Broker is available as an E-book download at Amazon. I've been writing poems since my schooldays and have had a few published. I'm currently working on a collection which you can buy as a book and there are lots on-line too. There have also been a pile of articles I've written on things that interest me which I am gradually getting on-line. All the new stuff is available on one of the many blogs I contribute regularly to.